The first will be during the atmospheric late-night organ recital of chorale preludes, Little Organ Book, on our opening night in Beverley Minster. Grayston Ives – known to many from his time with the King’s Singers with whom he recorded and performed worldwide – is making the latest contribution to the Orgelbüchlein Project, a major global composition project. This very special recital is dedicated to Alan Spedding and is being given jointly by FIVE organists. Richard Pinel, Assistant Organist of St. George’s Chapel Windsor Castle, who earlier today played for HM The Queen at the Royal Maundy service in the castle, heads the line-up which includes international virtuoso organist Simon Johnson (Organist of St. Paul’s Cathedral), plus organ students Robbie Carrol, Anthony Daly and Benjamin Newlove – all exceptional young organists (two of whom have received bursaries from the Alan Spedding Memorial Fund). Richard will perform Bill’s new composition, Es steh’n vor Gottes Thron, plus two existing entries from the Orgelbüchlein Project. The rest of the programme is entirely Bach and Brahms. View the full programme here. The second commission is Stephen Carleston’s fantastic new arrangement of the upbeat jazz standard, The mood I’m in, which will be performed by outstanding male voice a capella ensemble, the Queen’s Six, at their barbershop drinks gig in the bar of the East Riding Theatre on Saturday 9th April. An incredible opportunity to hear for free this fine vocal ensemble, who, like Richard Pinel, live and work in Windsor Castle. For a taste of the treat in store for audiences, listen to the group’s stunning performance of Stephen’s arrangement of When I fall in love here. The Little Organ Book concert is also poignant for it includes the last piece ever written by Brahms, O Welt, ich muss dich Lassen (‘O world, I must leave thee’), “a uniquely personal testament to his craft … and his passionate belief in the spiritual value of his art”*. The genius and beauty of Brahms’s music is laid bare throughout the festival – there is the Violin Sonata in D minor in the opening concert, a selection of songs in the coffee concert on Saturday, and the Piano Trio in B Major in the closing concert. Another extraordinary last work is being performed during the festival. Poulenc’s elegiac and deeply spiritual Oboe Sonata was his swansong and receives a special performance from James Turnbull in the Friday lunchtime concert, Dejeuner à Paris, at St. Mary’s. James is an oboist cherished by audiences around the country, who has worked tirelessly to promote the instrument and the writing of new music for it. For the performance of this ravishing piece, we are delighted that James is joined by the festival’s artistic director, pianist Libby Burgess, with whom he recorded the disc, The English Oboe: Rediscovered, released in 2013 to critical acclaim. Brahms was greatly inspired by Bach, and turned to Bach in the loneliness of his last years. In Dejeuner à Paris, mezzo-soprano Anna Huntley will sing the exquisite song, À Chloris, by Hahn which is based on Bach’s timeless ‘Air on a G String’ – the tune made famous in the 1960s by the Hamlet adverts. If you love Bach and/or maybe find yourself in a mellow mood on 8th April then be sure not to miss this incredible concert. We wish you all a blessed and peaceful Easter. If you’re in Beverley on Easter Sunday then why not listen to the Minster choir singing joyous Easter anthems in the morning from atop the great North West tower of the Minster? This glorious Beverley tradition goes back some time. It is, perhaps, not as famous as the May Day tradition of the choir of Magdalen College Oxford singing from atop its tower. 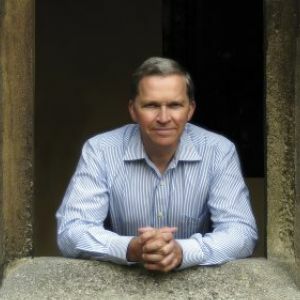 (Festival composer Grayston Ives was for many years the director of the choir at Magdalen.) But the towers of Beverley Minster are considerably taller and, dare we say, more elegant than the tower of Magdalen College. Then again, height isn’t everything, is it? We offer here, in jest, a vintage clip of Grayston singing a classic song with the King’s Singers which explores, in good humour, notions of the merits of physical stature. Grayston is the least tall of the singers and, as you can hear, had a golden voice. To avoid disappointment, book your tickets as soon as possible during the next two weeks through the box office of the East Riding Theatre.